My left leg isn’t getting any better. i think it’s shin splints because it hurts almost all day. I should probably take a few days off but Kathryn is meeting me in Burgos on Sunday and I’d like to walk the entire way. So far I’ve walked almost 175 km (over 109 miles). I really underestimated how difficult this would be. Even though I’ve backpacked a number of weeklong trips, I’ve never walked 8 days straight averaging almost 14 miles a day. Even if the terrain is flat, it’s still a challenge. Over course you meet people who are cranking out ridiculous distances. I met one guy who had done 58 km in one day and was averaging over 40 km/day. He was also carrying a big backpack and wasn’t moving very fast when I saw him. 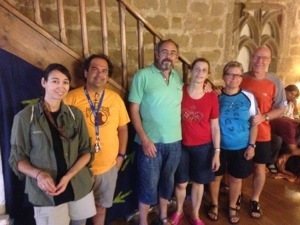 Last night was my first night in a donativo, which are staffed by volunteer hospitaleros and where you make a voluntary contribution for lodging and meals. The accommodations are very simple, including sleeping mats on the floor and a communal meal. Cooking and cleanup duties are shared as well. The albergue where I stayed was attached to the church in Granon. When you arrive, you are welcomed warmly by the hosts and they offer you a cold drink and (for me) an ice pack. After dinner, we enter the church’s choir loft through a secret passage and hold a prayer service with candles. 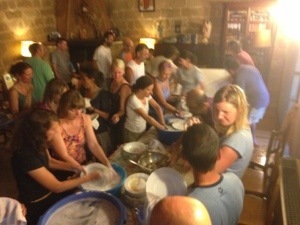 It’s a moving experience and each pilgrim gets to offer a prayer for a special intention. I’m planning to repeat the experience tonight in Losantos. 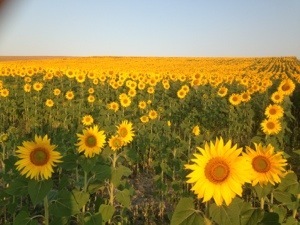 I’m really looking forward to a rest day in Burgos. Only two more days until then. Once again, photos are in random order. The WordPress app makes it hard to move photos around. 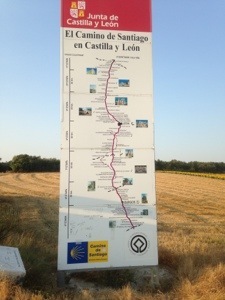 This entry was posted in Travel and tagged Camino de Santiago, Spain Travel by rambler1959. Bookmark the permalink. 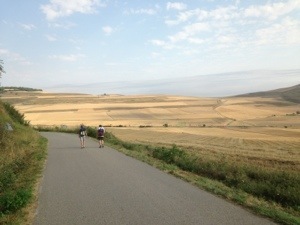 The Camino teaches you something everyday. Recently, it’s been teaching me who poorly I prepared for it. I’m really looking forward to a rest day con mi mujer in Burgos on Monday.